This book covers the art of Dutch Oven Cooking with style. There are recipes from bread to caramel apple pie. 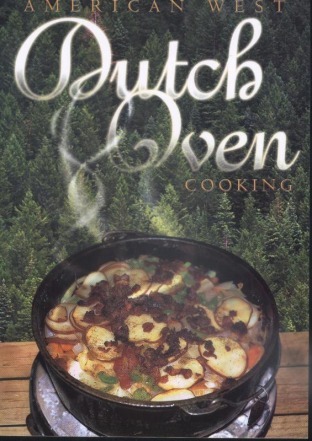 You will also be instructed in the proper preparation and use of the dutch oven itself. Each recipes is well written and specific to the dish. There are photos of the finished product in many of the recipes. Just looking at the book will make you hungry. So, get ready, get set, go start cooking!!! Paperback, c2000, 33 p. : ill. ; 25 cm.